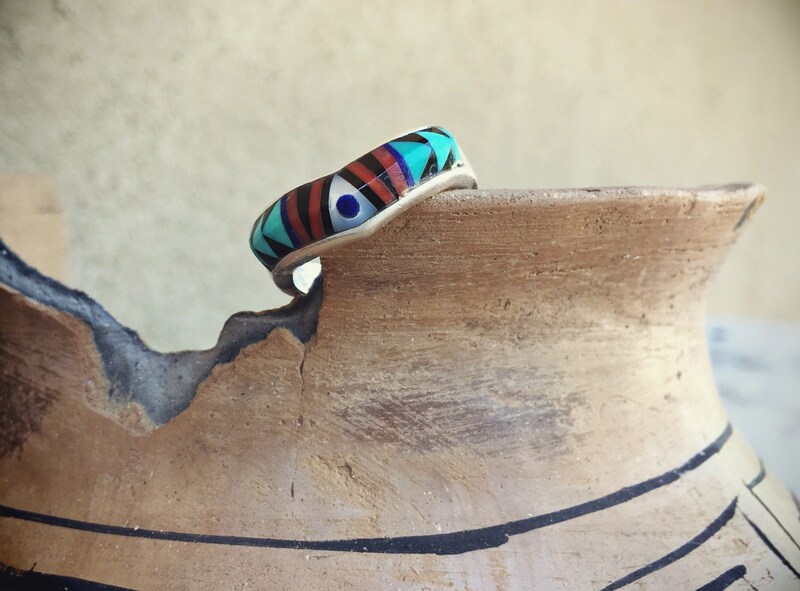 Here we have a great looking modernist band with a curved design, made with natural turquoise, coral, black onyx, light abalone shell, and a tiny dot of blue lapis in the center. 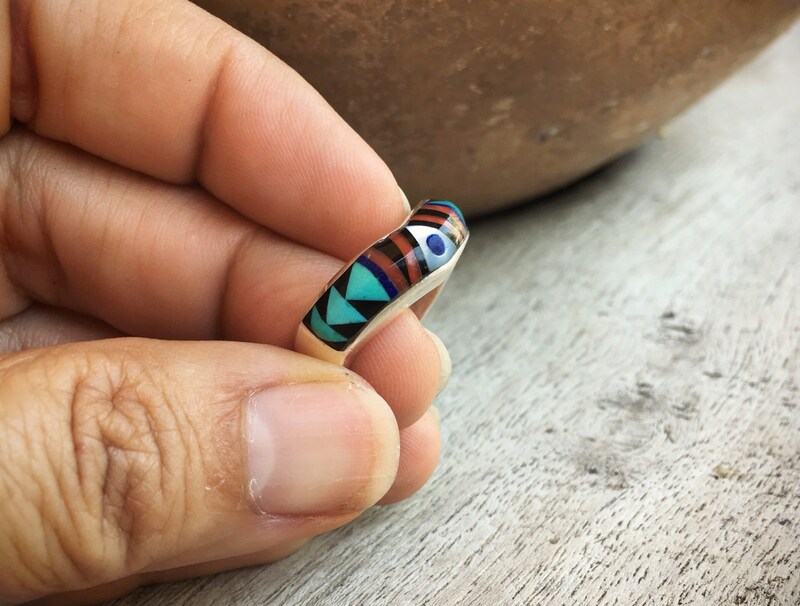 The ring is made by laying these gemstones side by side with no separation in a process called mosaic or flush inlay. This process is complex--the artist cuts the stones precisely to fit next to one another, like a puzzle. 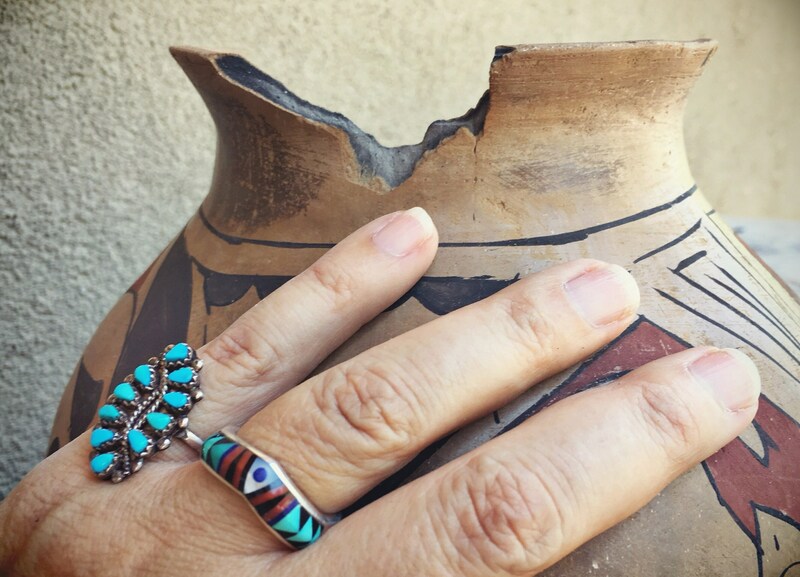 What I love most about the ring is the different hues of turquoise, which happens to natural turquoise over time and exposure to elements. It carries both a sterling stamp and an artist hallmark in the interior, although the latter is smaller and undecipherable. 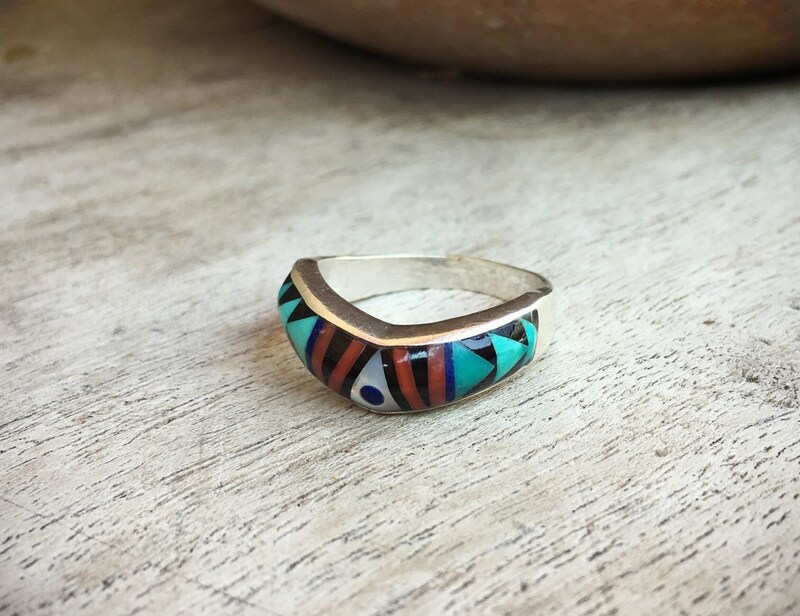 We believe it is a Zuni ring. 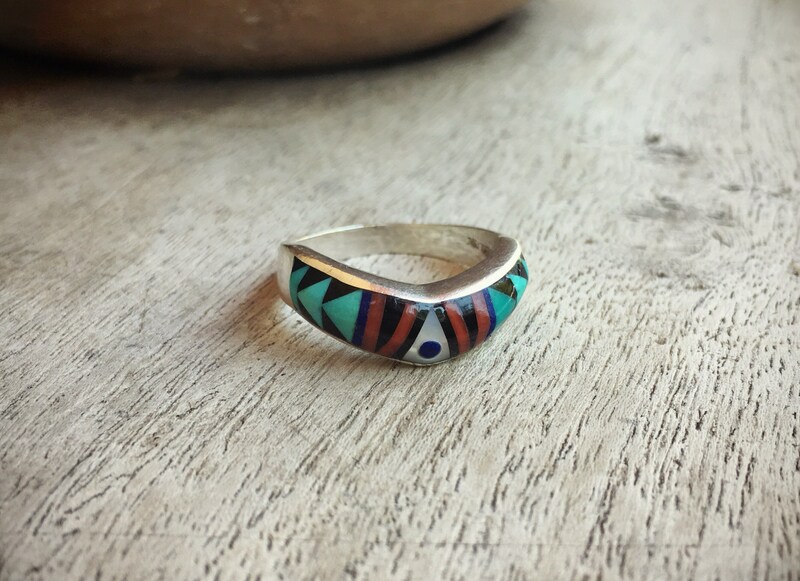 The ring is Size 9 and measures about 1/4" wide at the widest point. 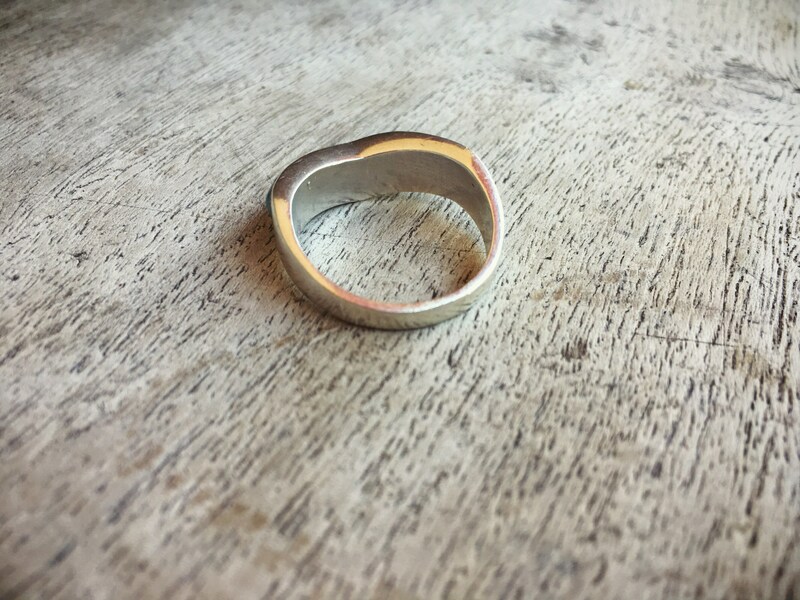 The silver has some small scratches from age. Otherwise in good condition. 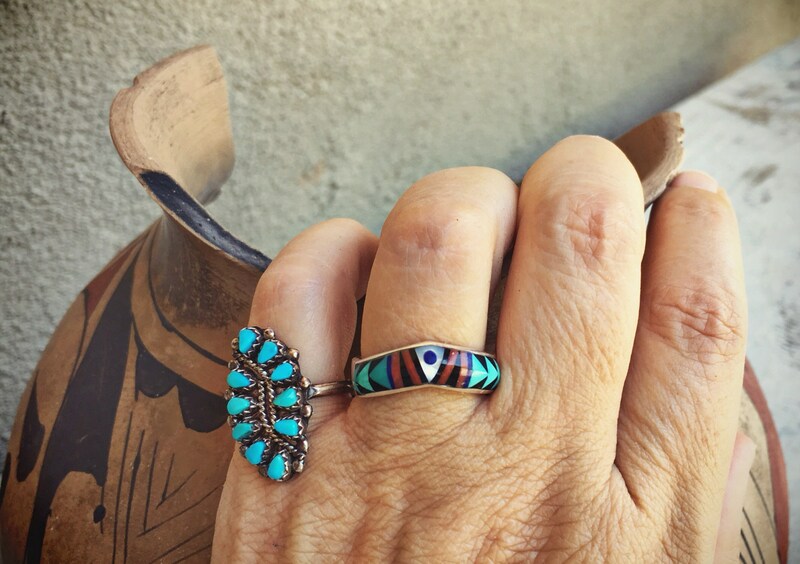 Great ring for everyday wear.